Station one was built in 1996. It houses 2810, 2861, 2863, 2871, 2851, 2853, and 2885. 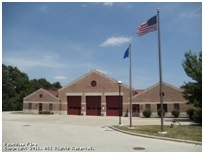 Station one also functions as our departments headquarters, and has the offices of the fire chief, assistant chief, division chiefs, and administrative assistant. 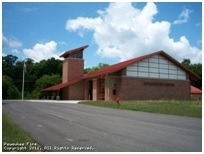 Station two was built in 2008 and is located on the west side of Waukesha County Technical College. It houses 2862, 2852, and 2883.